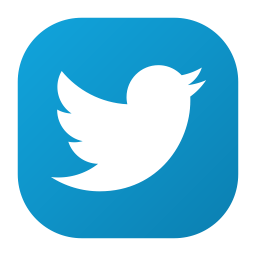 In this blog I am writing mainly about VM market leaders. Most of them are US-based companies. However, there are vulnerability management solutions that are popular only in some particular country or region. About some of them you maybe have not even heard. At the same time, these solutions are rather interesting. Solution structure is similar to Qualys and Nessus Cloud. 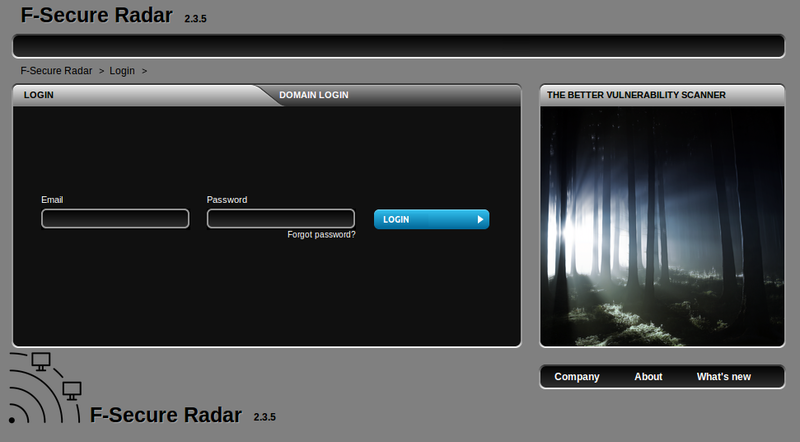 There is a remote server that provides a web interface: portal.radar.f-secure.com. You can scan your perimeter using the remote scanner. 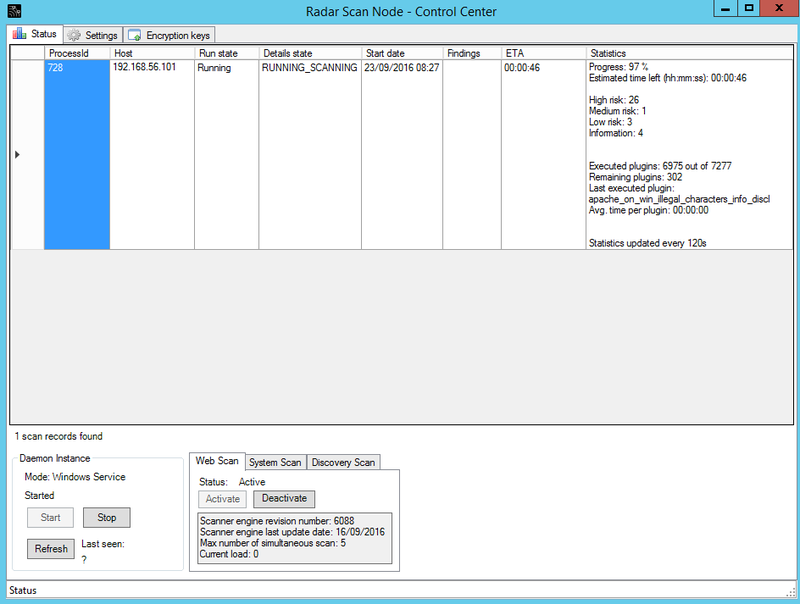 To scan the hosts within the network, you should deploy the Scan Node Agent on a Windows host. To get started, you need to set password for a new user. You will receive registration link from the vendor. Unfortunately, I don’t have enough data to show it on the dashboards. So I had to use a picture from official presentation. By the way, it’s pretty interesting. 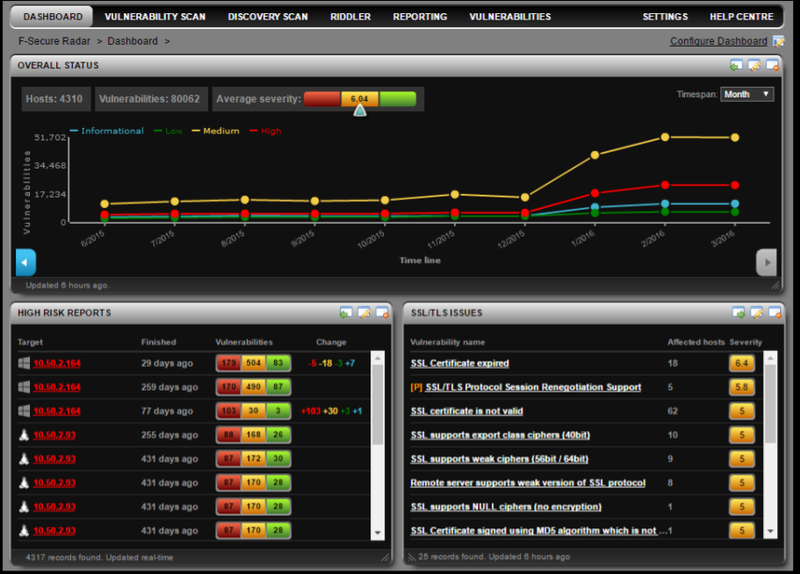 Check it to understand view of F-Secure on Vulnerability Management. I will describe next how I was trying to create a scan and what surprises I discovered. 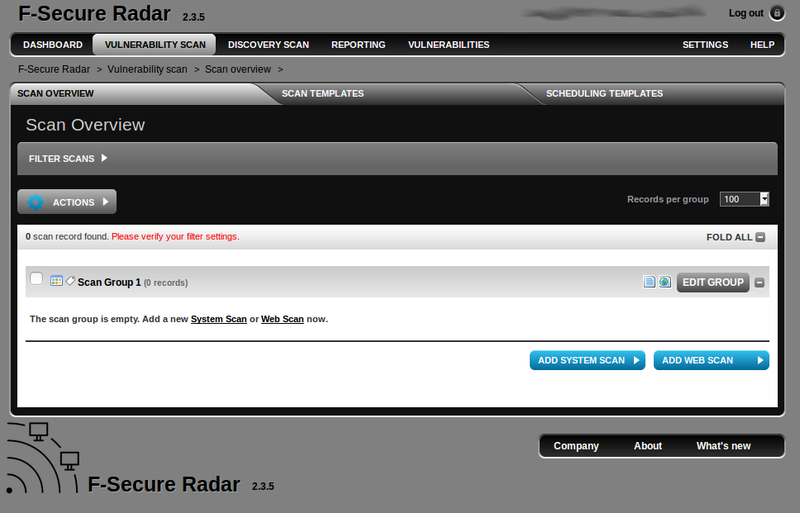 At Vulnerability Scan tab, you can configure a System scan or Web application Scan. 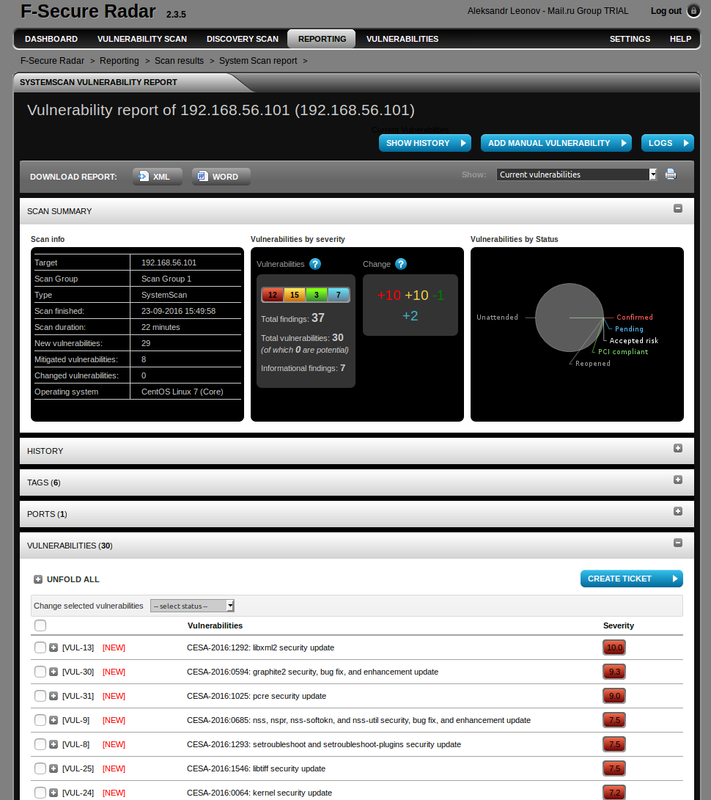 In the F-Secure ideology, Vulnerability Scan is for assessment of known IPs. 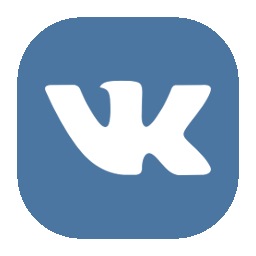 Detection of active hosts is made in Discovery Scan. An interesting approach, I have never seen it before. Discovery scanning is simple. 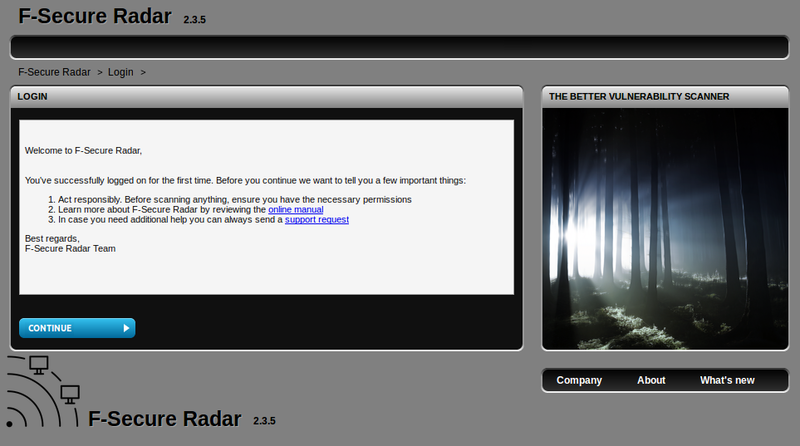 You just specify the range, scanner (Scan Node), run the scan and wait until it is finished. Discovery scan with external scanner takes quite a long time. 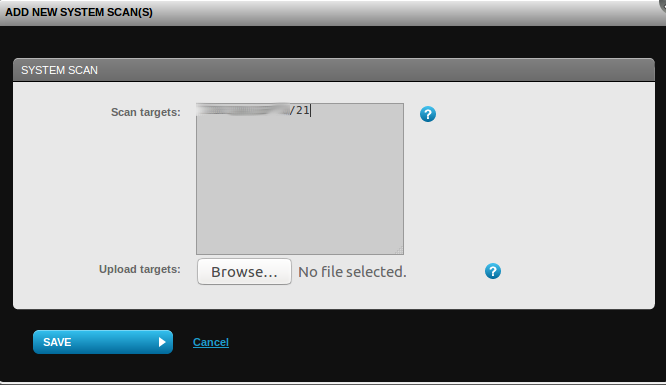 Vulnerability scan of the test range with Qualys (full port scan enabled in profile) took 17 hours. 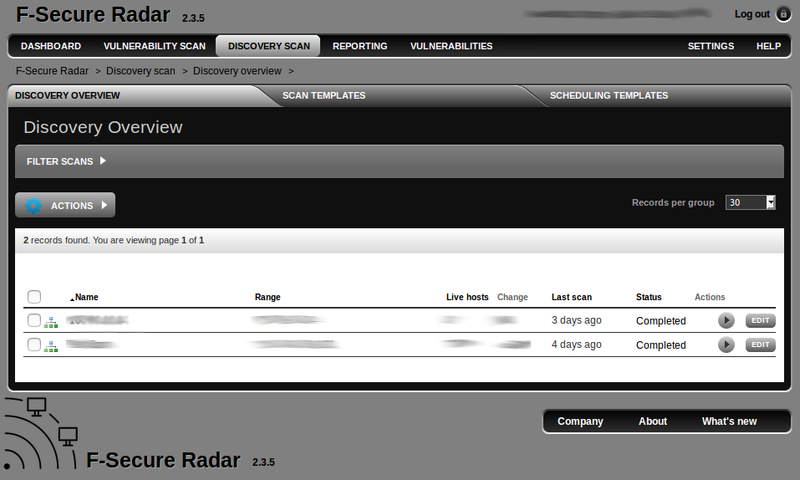 Discovery scan of the same range in F-Secure Radar took 2 days and 9 hours. On the other hand these things are hard to compare, because it’s not clear exactly was checked. 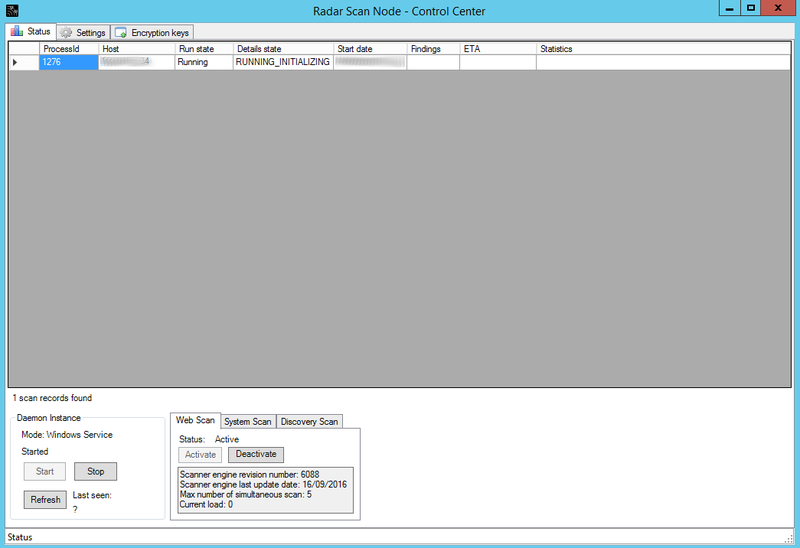 Want to scan the hosts inside your network? 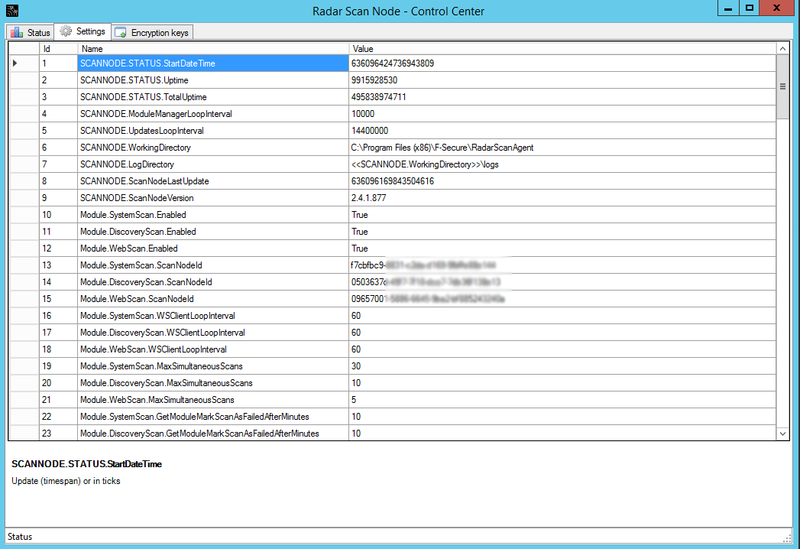 You need to deploy a Scan Node Agent. Something similar to Qualys Appliance. It’s a 7z archive. File size is 10.6 Mb. Setup process is trivial. You just need to press “Next” all the time and input local admin password once. What about the keys? 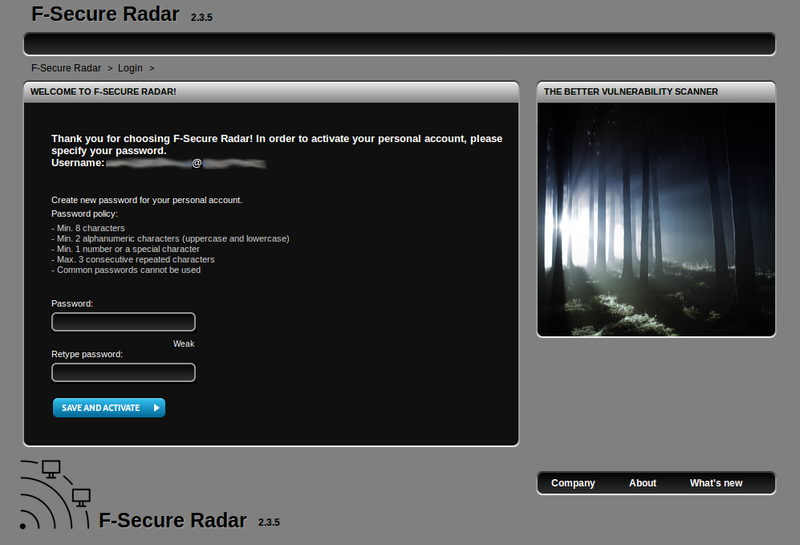 You can’t just setup credentials for authenticated scanning in F-Secure Radar web interface. You need to configure encryption keys to store credentials on F-Secure remote server and to transfer credentails to the Scanning Node safely. I think it would be easier for end-user if F-Secure configure keys in automatic mode, but it works that way. Download OpenSSL toolkit for Windows at http://gnuwin32.sourceforge.net/packages/openssl.htm. Extract it, go to the “bin” folder. Don’t ask me why I am naming private_key as “Public”. The idea is that names of the keys must be the same name on the F-Secure server and the Scanning Node sot they could link to each other. 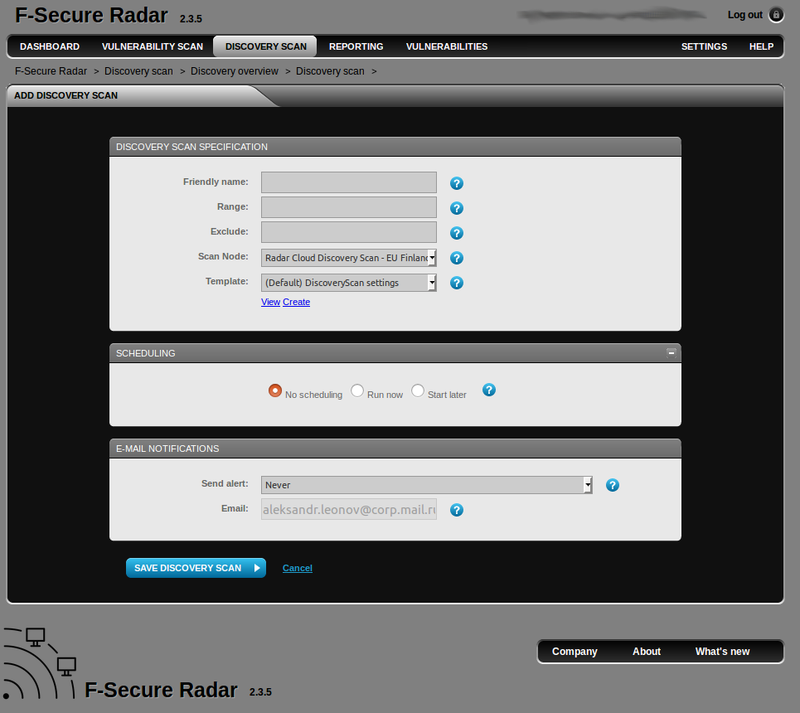 Now we are ready to scan some host in internal network with authentication. 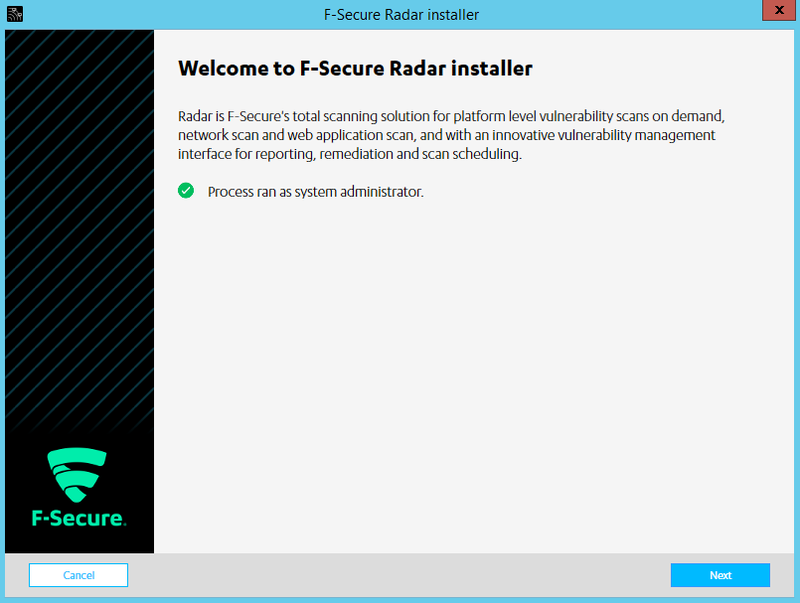 What systems F-Secure Radar can scan with authentication? 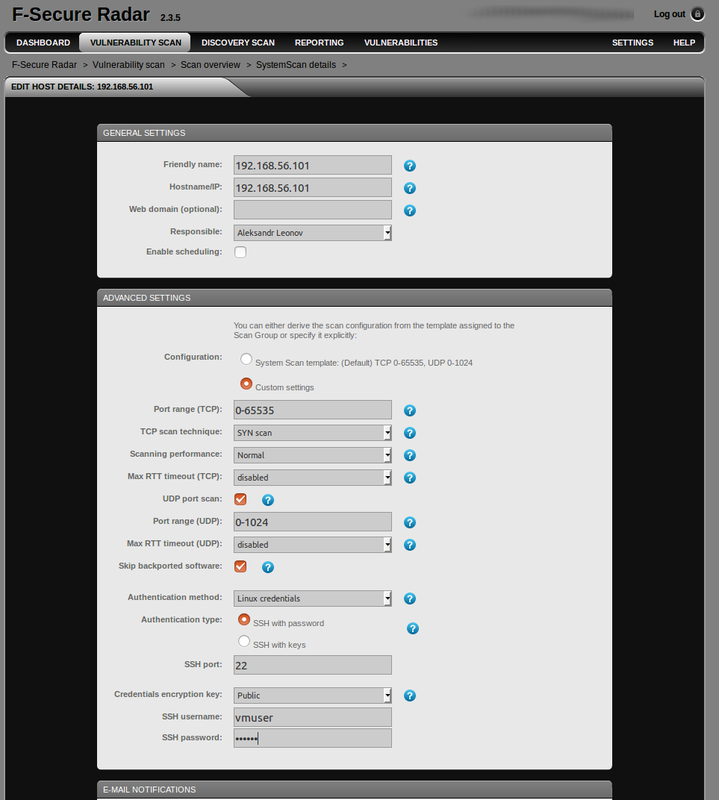 I will try to scan CentOS host. 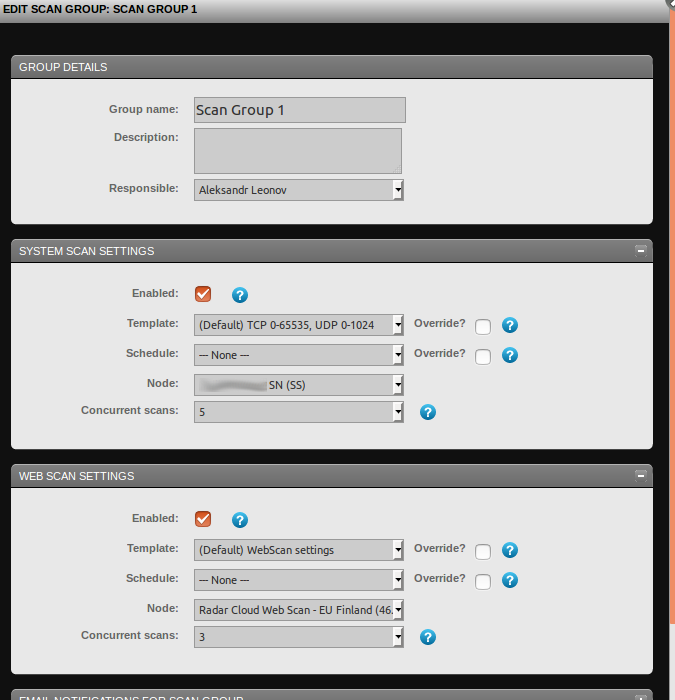 As you can see, System Scan Settings -> Node, and choose you Scan Node. The numbers you see in “Change” (+10 +10 1 +2) is the difference between authenticated and unauthenticated scanning, I did before. As you can see, something works unusually. However, the product works well and may be quite useful if you are going to perform authenticated scanning for Windows and Linux systems only and scan Web applications. What is left out of scope of this post? 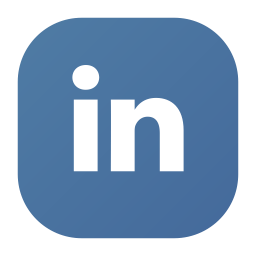 The product has a pretty powerful API, with you can use to automate some routine tasks of Vulnerability Management process (upd. see “F-Secure API for scanning“). 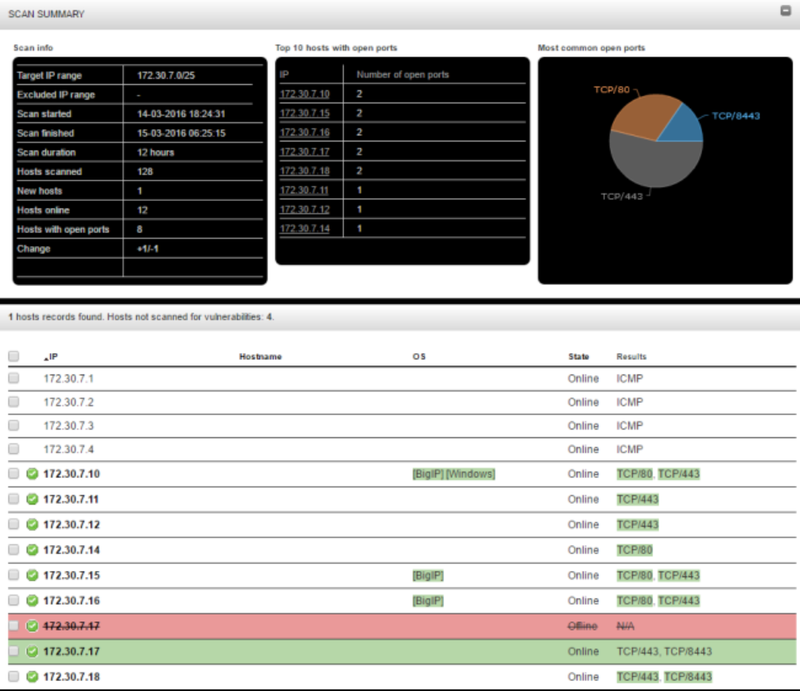 Task-tracker, which can be used for the Remediation (upd. 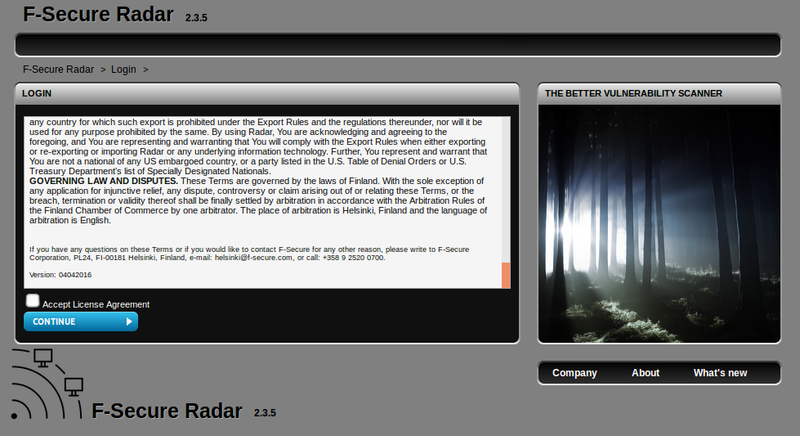 see “F-Secure Radar ticketing“). 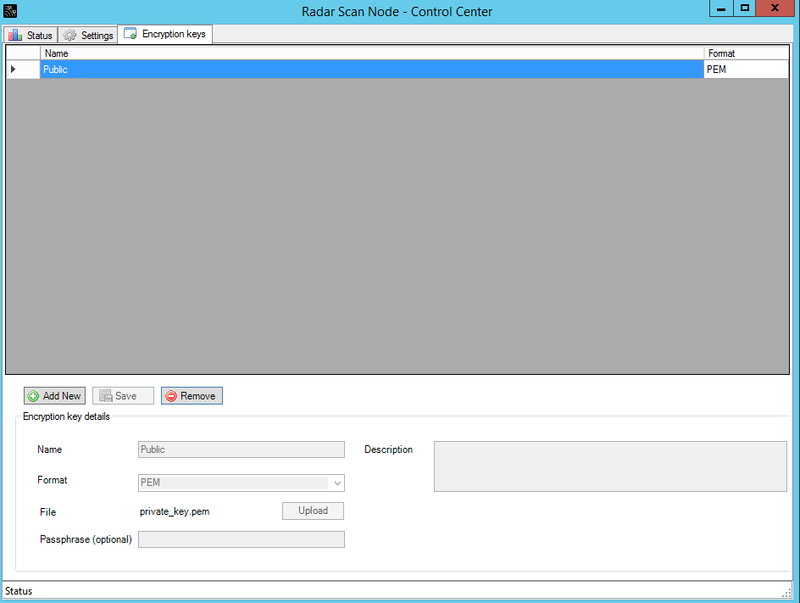 This entry was posted in Vulnerability Management and tagged CentOS, F-Secure, F-Secure Radar, scanner, vulnerability, Windows on October 3, 2016 by Alexander Leonov.